Pochi minuti fa, Bethesda ha pubblicato un nuovo teaser trailer dedicato a Wolfenstein II: The New Colossus, in arrivo anche su Nintendo Switch. Come ricordati infatti, dopol’annuncio di Skyrim, anche altri due titoli (shooter) targati Bethesda Game Studios, arrivaneranno presto sulla console della Casa di Kyoto. La frenetica azione di DOOM arriverà in inverno, mentre Wolfenstein II: The New Colossus sarà disponibile nel corso del 2018 su Nintendo Switch. Potete trovare il trailer pubblicato, in calce all’articolo. In Wolfenstein II: The New Colossus di MachineGames la tua missione è liberare gli Stati Uniti dai nazisti. Solo tu hai il coraggio, la spavalderia e le risorse per dare il via alla seconda guerra d’indipendenza americana. Wolfenstein® II: The New Colossus™ is the highly anticipated sequel to the critically acclaimed first-person shooter, Wolfenstein®: The New Order™ developed by the award-winning studio MachineGames. 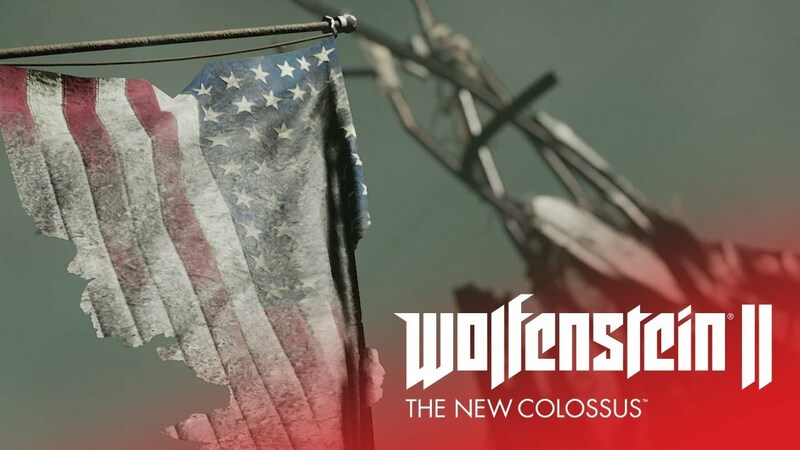 An exhilarating adventure brought to life by the industry-leading id Tech® 6, Wolfenstein® II sends players to Nazi-controlled America on a mission to recruit the boldest resistance leaders left. Fight the Nazis in iconic locations such as small-town Roswell, New Mexico, the bayous and boulevards of New Orleans, and a post-nuclear Manhattan. Equip an arsenal of badass guns, and unleash new abilities to blast your way through legions of advanced Nazi soldiers and über soldiers in this definitive first-person shooter. America, 1961. Your assassination of Nazi General Deathshead was a short-lived victory. Despite the setback, the Nazis maintain their stranglehold on the world. You are BJ Blazkowicz, aka “Terror-Billy,” member of the Resistance, scourge of the Nazi empire, and humanity’s last hope for liberty. Only you have the guts, guns, and gumption to return stateside, kill every Nazi in sight, and spark the second American Revolution. Strap in for a heart-pounding journey as you fight the Nazi war machine on American soil. As BJ Blazkowicz, protect your family and friends, forge new alliances and face the demons of your troubled past as you rally pockets of resistance to overthrow the Nazi occupation. Immerse yourself in a world brought to life by unforgettable characters who bring a new level of personality to the franchise. Reunite with your friends and fellow freedom fighters such as Anya, Caroline, Bombate, Set, Max Hass, Fergus or Wyatt, and befriend new characters such as Horton and Grace as you take on the evil Frau Engel and her Nazi army. Blast Nazis to bits with high-tech weaponry such as the Laserkraftwerk, a multi-purpose, high-intensity laser weapon that can disintegrate enemies, or the Dieselkraftwerk, a rapid-fire, gas-powered grenade launcher that can devastate groups of enemies, or get up close and personal with advanced pistols, submachine guns, and hatchets. When you need a little more versatility, upgrade and dual-wield your favorite guns! Everyone’s favorite pastime! Unleash your inner war hero as you annihilate Nazis in new and hyper-violent ways. Lock and load futuristic guns and discover BJ’s new set of abilities as you fight to free America. Regardless of your playstyle, invent all-new ways of stabbing, shooting, and killing Nazis.